raftshirt online t-shirt design software is the top-notch for starting your own online printing business. Combined with the powerful Prestashop e-commerce engine it offers high-quality experience for both customers and shop owners. Craftshirt online t-shirt designer offers unique functionality for store owner. It allows to upload a wide array of product clip-arts and design galleries. 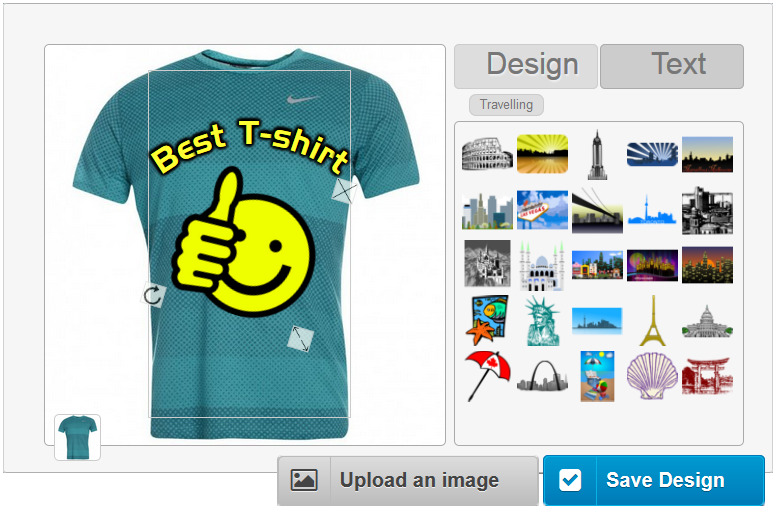 T-shirt design tool adjusts the editing area to highlight the product part available for customization. User of Craftshirt online t-shirt designer can enjoy wide array of products, cliparts,designs. Company provides possibility to work with text customization. Use different fonts, curves, outlines, colors to make your product look classy. Online t-shirt designer gives you the power to make customized articles exactly the way you want them. online t-shirt designer t-shirt design script start t-shirt business t-shirt printing software online t-shirt maker t-shirt designing programm craftshirt.